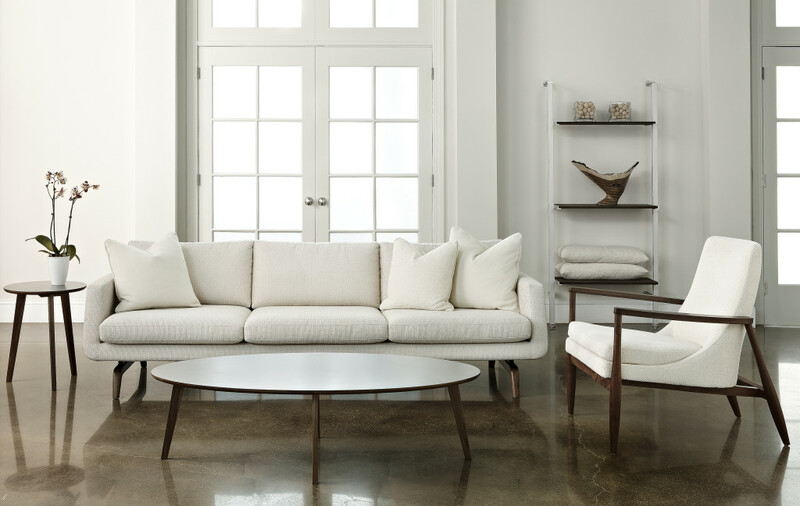 The Henley collection from American Leather is a stunning example of American Leather’s ability to deliver clean sophisticated looks with American comfort. 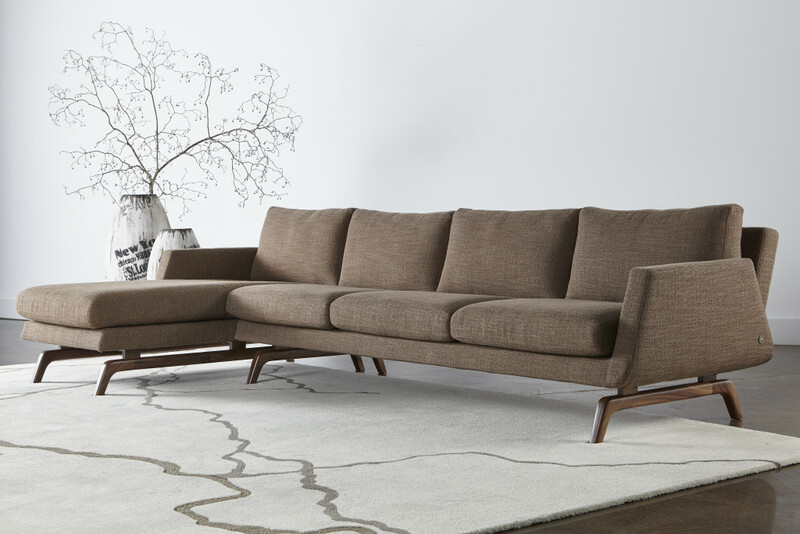 The Henley has generously proportioned 38” back and seat cushions which add sophistication to the style. The narrow arm has a soft curve on the inside for a smooth, updated look. A clean, tapered high-leg base surrounds the entire piece and is available in metal and our three wood finishes. 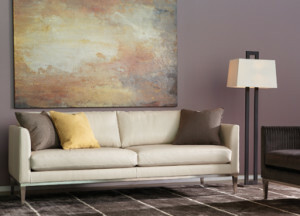 Sectionals are also available from the Henley collection. All American Leather collections are available in a choice of top grain leather or a nice selection of ultra durable materials to stand up to your daily use. Custom orders of American Leather from Saugerties Furniture Mart are delivered in about 35 days. Best of all American Leather is made in the USA! Stop by Saugerties Furniture Mart in Saugerties, NY to see our American Leather Gallery today! Mom and dad are coming for the 4th! Cousins arrive just weeks later for a summer visit and who knows how many “friends” will pop by for a weekend in the Hudson Valley. Make sure you’re ready for all your summertime guests by replacing the Sofa Sleeper in the guest room with a proper bed. There is no better sleeper on the market today than the American Leather Comfort Sleeper, available in both fabric or leather covers. No bars, no sagging, and a slick space saving mechanism/mattress that’s a full 80″ long! 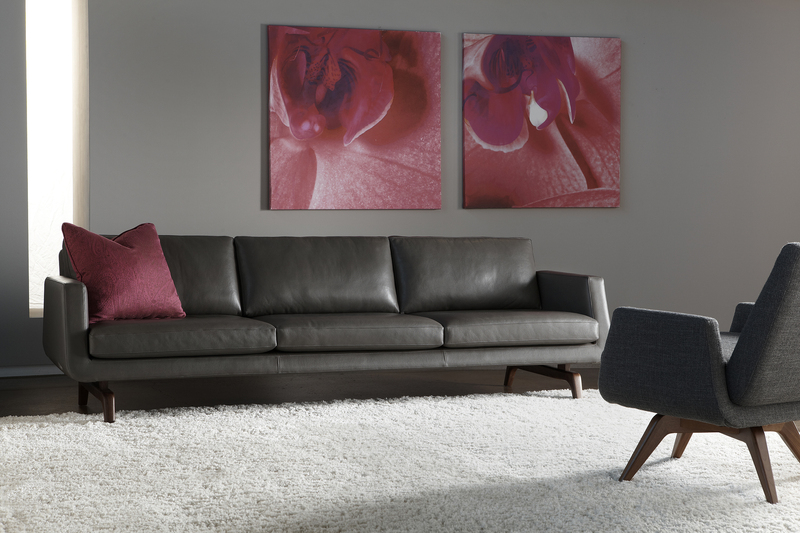 Below is the Hannah, American Leather, Comfort Sleeper with sleek arms and a high-leg design, its one of 10 models available all at the same price. Twin, Full, Queen, Queen Plus and King Size models are available. Comfort Sleepers are made in the USA and special orders can be delivered within 30 days. We have plenty in stock for last minute needs. We GUARANTEE one sells Comfort Sleepers for less than Saugerties Furniture Mart. Stop by our showroom on Main St in Saugerties to experience the Comfort Sleeper. Sleeper Sofas in the House! Its holiday time and that means lots of overnight guests AND its time to replace that aging sleeper or worn out futon! Saugerties Furniture just got in a truck load of twin size, full size and queen size sofa beds or sofa sleepers just in time for the holidays in an assortment of easy to clean fabrics. Our sleepers come standard with a 5″ innerspring mattress and the option of a 5″ memory foam or 10″ Cloud Coil supreme comfort mattress so your guests can sleep comfortably. Need something a little bigger or have a VIP guest coming? Check out our American Leather Comfort Sleepers available in Twin, Full, Queen, Queen PLUS (66″ wide) and King sizes. 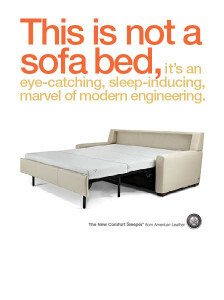 Comfort Sleepers are all about coziness and you may end up giving up your own bed to sleep on this marvel of modern engineering! 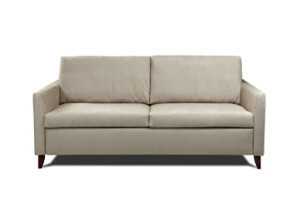 Shop for your new sleeper sofa at Saugerties Furniture today!